Fresh Starts Culinary Academy is Homeward Bound’s job-training program, serving low-income students from the community as well as Homeward Bound residents. 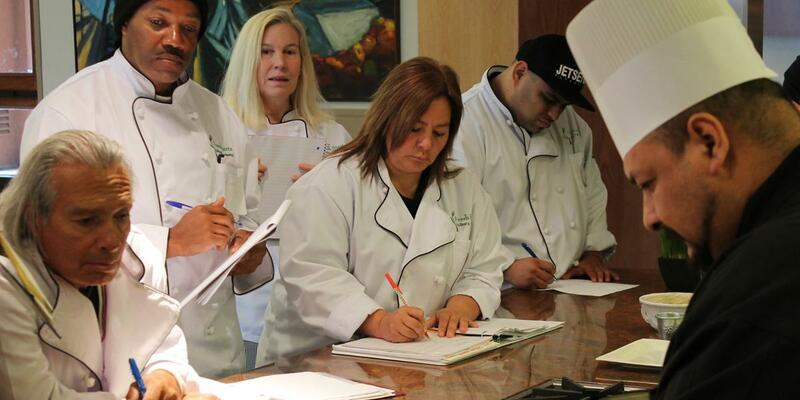 This award-winning program provides intensive hands-on training to prepare students for jobs in the busy culinary industry and has been certified by the American Culinary Federation. See our flyer in English or Spanish for more details. We are currently accepting applications for the next session, which will begin on Monday, June 24. Please review the application and email us at info@hbofm.org with all your questions. Our program is a model member of Catalyst Kitchens, a nationwide affiliate group for organizations that combine culinary training with social enterprise. Our program has been certified by the American Culinary Federation. Our students build their skills in two Homeward Bound kitchens and have the opportunity to work at Fresh Starts Chef Events, a series of celebrity chef dinners produced by Homeward Bound. Our team also produces Wagster Treats dog biscuits, chocolate Halo Truffles and Halo HomeMades, a sister line of jams and salsas. 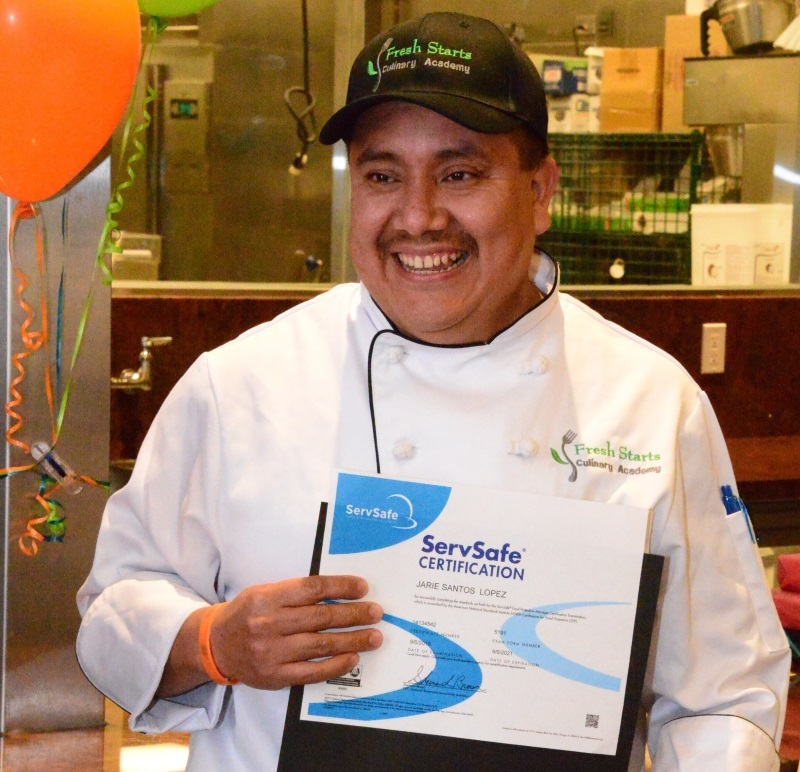 A 2016 graduate of Fresh Starts Culinary Academy, Jarie Santos now works full-time as sous chef at Sol Food in San Rafael. In Marin, he also has worked at Boca Pizzeria and Toast in Novato, plus Green Chile Kitchen in San Rafael. “I love the kitchen and trying new things,” Jarie says. His outlook has changed since 2015, when he lost a longtime position at a Vallejo restaurant plus his housing due to legal issues. He spent a month sleeping in his car before coming to Homeward Bound of Marin and applying to our culinary training program. “One door closed, but that opened 10 or more new ones for me,” Jarie says. Though he had years of experience, Fresh Starts Culinary Academy advanced his career by letting him earn the ServSafe Food Protection Manager certification and exposing him to new techniques. At Sol Food, Jarie has taken on-site classes offered to key employees, including one focused on supervisory techniques. Someday he hopes to open his own restaurant. “I have plans and I’m not stopping for anything,” Jarie says.